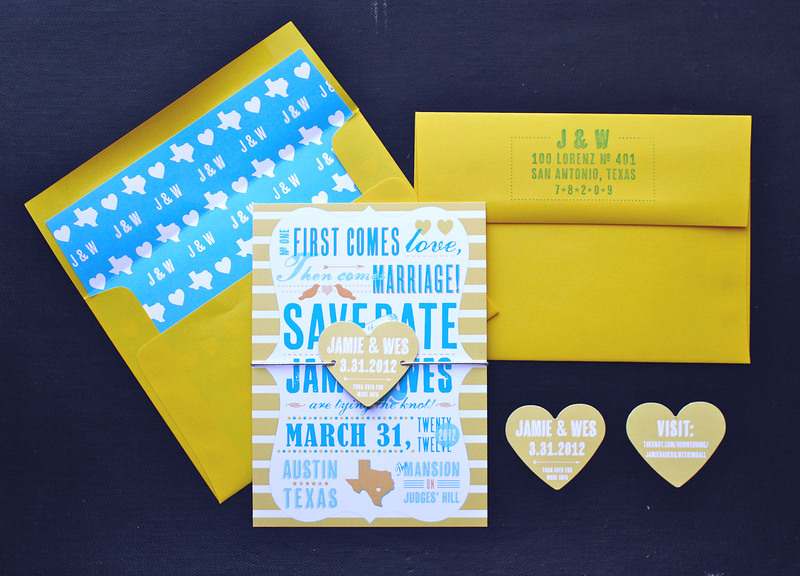 Jamie & Wes are tying the knot! Typography. Color. Envelope liners. Hearts. Texas. 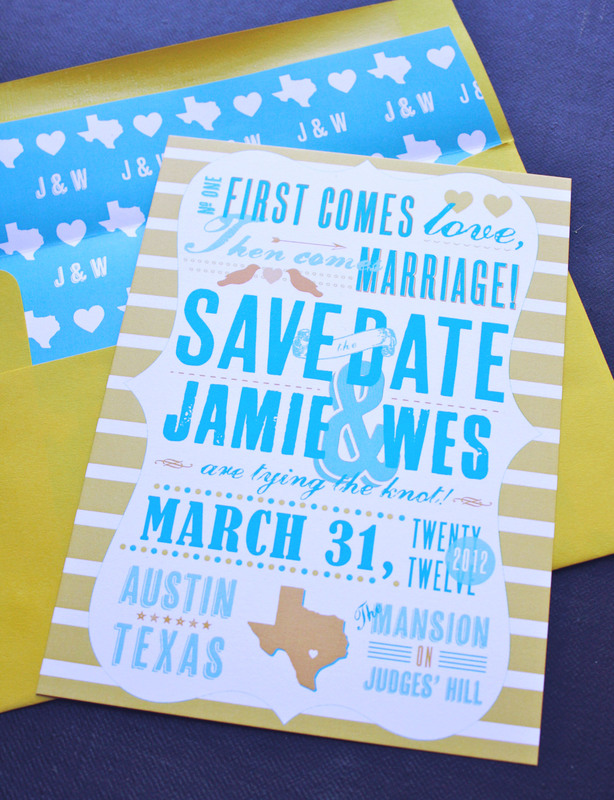 This was one fun save the date to pull together!